Kruger Park Sabi Sand Game Reserve: South Africa’s finest wildlife refuge, home to all the Big Five and many other endangered species. Venture forth on morning and afternoon guided game drives, in open safari vehicles, expertly maneuvered by professional game rangers. During the quiet midday, let your five senses guide you on a thrilling walking safari! Hidden on the banks of the Msuthu River lies the 5-star Sabi Sabi Private Game Reserve, located inside the game-rich Sabi Sand Game Reserve. 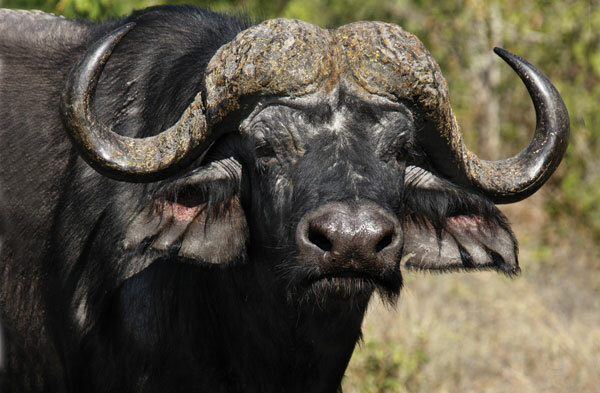 Sabi Sabi Private Game Reserve comprises of 65,000 hectares of incredible Mpumalanga plant and animal life and borders the Kruger National Park. The beautiful and historic Sabi Sand Private Game Reserve has 50 kms of unfenced border adjoining the Kruger National Park, allowing wildlife to roam freely between the reserve and the park. The Little Bush Camp provides all the comforts, yet it exposes you to some of the most exotic sights Africa offers. With safaris running both day and night, tracking the Big 5 and viewing up to 200 species of and animals and 300 bird’s species is the most exciting attraction at the camp. With the lodge’s outstanding food, guests will never want to leave. 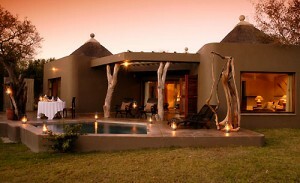 With 6 luxurious suites all overlooking the riverbed, Sabi Sabi Bush Lodge is a jewel of accommodation. All suites are fully equipped and feature contemporary African design complete with air-conditioning, double beds, en-suite bathrooms, indoor and outdoor showers, and a private viewing deck. Thatched roofs and draped mosquito nets complete this exclusive lodge.